Amplifier: the component to connect with the audio interface. 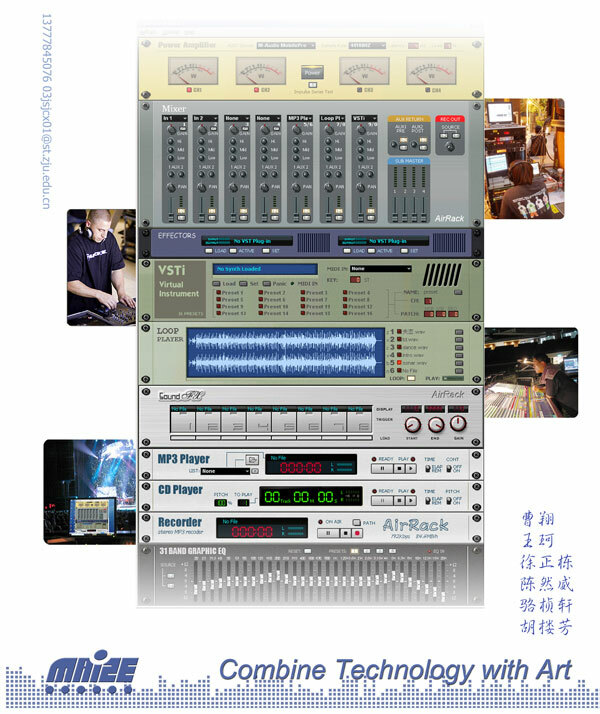 Mixer: route other devices to the amplifier. Effects: dual effects which load VST effect plug-ins. VSTi: allow you to give real-time performance. MP3 player: play MP3 audio file. CD player: play the CD track with your CD-ROM. Loop player: play an audio file as a loop. Sound FX: a simple sampler to trigger sound effects. Graphic EQ: 31 band graphic EQ.